I would like to introduce you to an exciting new opportunity for your organisation or business to not only gain brand exposure but to show the people of Aberdeen/Shire and possibly around the UK, that you fully support the LGBT+ community. In doing so you are showing potential employees and customers that you fully inclusive. 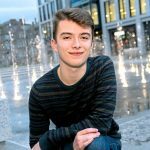 This year Aberdeen will be hosting its second major pride event for the Grampian community which will take place on Saturday 25th May 2019. We are expecting to see an attendance of around 9,000 people from all over the UK. We have put together a guided Sponsorship Pack which we would be happy to send over. You will see that we have a range of opportunities, each with its own benefits in terms of brand exposure and involvement with Grampian Pride 2019. What if I’m not LGBT+? You don’t have to be LGBT+ to take part in Pride either – straight allies are really important. Just having an LGBT+ inclusive policy isn’t enough if you don’t let people know you are proudly by their side. So supporting events like this or just taking part is an amazing way of telling your employees & customers that you are totally inclusive and you are happy for everyone to be their authentic self. Demonstrate your organisation’s commitment to equality and diversity. 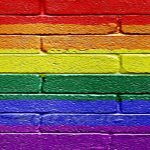 Raise awareness that you are an LGBT+ friendly organisation in the North East of Scotland. Market your organisation to potential customers. Promote your organisation as an LGBT+ friendly employer to future employees. Promote the Grampian region as a destination where LGBT+ people can feel safe and supported in their community. What if I can’t afford to be a sponsor? It doesn’t matter if you don’t have funding available – you can still help! We are grateful to receive goods and services for ‘In Kind’ support, or discounts for Pride attendees. Either way we are interested in hearing from you!